We all like to talk about strategy. It’s cool to do so. 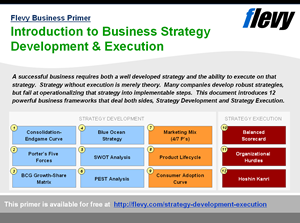 But in order to craft a great strategy, it’s crucial to understand the underlying business strategy principles. All too often, people who talk about strategy don’t really know what strategy is all about. This article wants to change that! First, let’s take a closer look at what strategy is all about. I have been working as a strategy consultant for over a 2 decades. Here are 5 misconceptions I regularly run into. 1. Strategy is not about being the best, it’s about being unique. One of the major misconceptions in strategy is competition. And if you only remember one tip from this list, it should be this one. Many leaders compare competition in business with the world of sports. There can only be one winner. But competing in business is more complex. There can be several winners. It does not have to be a zero sum game – you win, I lose or vice versa. Within a single industry, you can have several companies beating the industry average, each with a distinctive, different strategy. They are no direct threat to each other. There can be several winners. So the worst possible approach to strategy is to seek out the biggest player in the industry and try to copy everything they do. It’s easy to say YES to everything, but that’s not a strategy. You need to clearly identify the NOs and stick to them. Each business strategy should also have a section where it clearly states the NOs. There will be customers that you are not going to serve, activities that you are not going to perform and services/products that you will not be offering. In strategy, choosing what not to do is equally important as deciding what you are going to do. 3. Strategy innovation is not about creativity, but incubation. Like ‘strategy,’ ‘innovation’ is a cool word. Put ‘strategy’ and ‘innovation’ in a single phrase and a managers starts to drool. For most people strategy innovation is all about creativity. Unfortunately, that’s only a small step of a successful strategy innovation approach. Execute (turning the tested idea into a structured operation). If the three steps of the innovation process are managed, the strategy innovation process will be much more successful. Focus on the complete process, not the creativity step. 4. Strategy is an constant activity, not a PowerPoint. Too many strategy exercises end up in a drawer. Companies spend time and money building this great PowerPoint… and then it stops. Competitors move, customers’ needs and behaviors change, technology evolves. One crucial element to determine a future path for your company is to predict these evolutions and trends and incorporate this thinking into the business strategy-building process. If you don’t, you can miss out on new value that is created in the industry or even left behind and get into trouble. Think about the smart phone and Nokia and you’ll understand. 5. Strategy is the starting point, not the finish line. In other words, companies don’t execute very well. They build a great strategy but are unable to get the results. Strategy execution should be something you focus on. It’s not something to delegate. It’s the job of the leader to turn that great strategy into great performance. Strategy execution bridges the gap between your strategy PowerPoint and actual success. 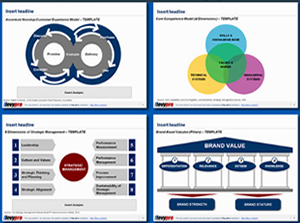 Led by Balanced Scorecard guru’s Kaplan and Norton and best-selling authors Bossidy and Charan, Strategy Execution has become a popular business domain more and more leaders are focusing on. And with the right reasons. Each company, large or small, needs to master crucial Strategy Execution skills. 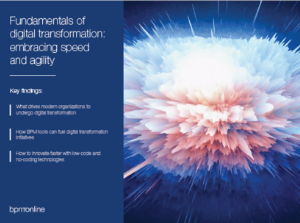 And that’s where this guide can help you to boost your strategy execution skills and knowledge. Jeroen De Flander is one of the world’s most influential thinkers on strategy execution and highly regarded keynote speaker. He’s the co-founder of the performance factory and chairman of the Institute for Strategy Execution and a highly regarded keynote speaker. He has shared the stage with prominent strategists like Michael Porter and reached out to 26,000+ leaders in 40+ countries. His first book Strategy Execution Heroes reached the Amazon bestseller list in 5 countries and was nominated for Management Book of the Year 2012 in the Netherlands. His second book, The Execution Shortcut, reached the #3 spot in its category on Amazon. 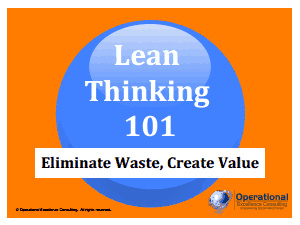 [Video] Why Does Lean Fail in an Organization?